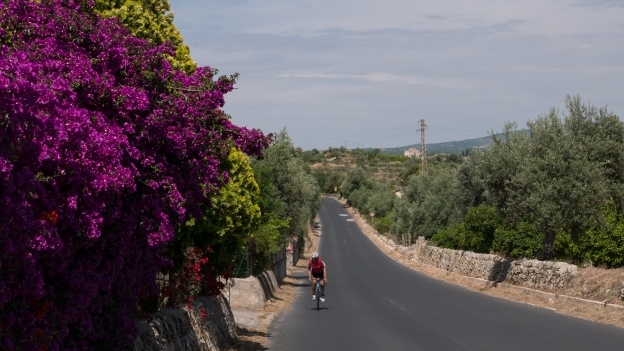 Moderate - this section involves a climb from sea level to Ragusa at a little over 700 metres. This is the biggest climb of the whole route, but it's a fairly steady and easy climb. Predominantly on quiet roads, however, the section through Ragusa is also busy - and tricky, mainly due to the lack of signposting for Ragusa Ibla. There are also a couple of sections on the SS115 approaching Siracusa. The main SIBIT route sticks to the coast. 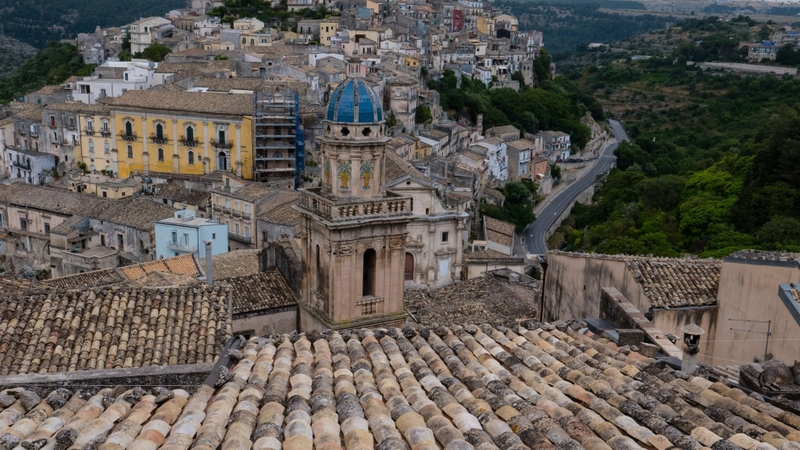 The route suggested here includes a detour inland to the baroque cities of of Ragusa Ibla, and Modica before returning to the coast. For this section I picked up another SIBIT route from Scoglitti on the coast to Ragusa and then on to Modica. This route isn't signposted. I started from Punta Braccetto but f you can get accom­mod­ation around Scoglitti then you could pick up the route there. There's a lovely stretch of strada secondaria (secondary road) to Donnafugata – a minor country road climbing between dry stone walls overlooking fields of wheat and with holm oaks. It climbs climbs, steadily to 300m, and the the Castello Donnafugata ( it.wikipedia.org: Castello di Donnafugata ). The castello (which is more of a stately home rather than a castle) is worth a visit, but there are also bars restaurants outside. After Donnafugata I opted to carry on on the strada provin­ciale the SIBIT route heads down a track then along the bottom of the valley before climbing back to the top of the other side of the valley: the strada provin­ciale seems the more practical option. Ragusa is the provincial capital. It was rebuilt on the hill-top after the 1693 had destroyed the older town of Ragusa Ibla. Except that the aristo­crats who had lived in Ragusa Ibla rebuilt their palazzi in their original locations in the old town. Ragusa isn't easy to find your way around, and I saw very few signs for Ragusa Ibla. Finding your way isn't made any easier by the one-way system and fact that there's a deep ravine - the Valle dei Ponti - that runs through the town. I did eventually spot some finds some signs for Ragusa Ibla and I finally came out above the church of Santa Maria delle Scale (the scale are the steps linking the church with Ragusa Ibla). The view is made all the more dramatic by its suddenness. You turn the corner and there it is. The road down to Ragusa Ibla (the Corso Mazzini) is gorgeous - with a new perspective opening up around each bend. At the bottom by the Chiesa delle Anime del Purgatorio I made a mistake in following the road signs that said tutte le direzioni rather than turning right onto the Via del Mercato into the centre of Ragusa Ibla. The tutte le direzioni is of course there to divert cars traffic away from the centre and out of town. The road from Ragusa Ibla to Modica (the SS115 Bis) follows the side of the valley the river with a rail line below. It climbs from just over 100 m to a little over 400m. As you approach Modica look for the signs for the centro storico (trans­lated into English as “Old Town" for anyone who can't work out what centro storico means). Modica is a delight. I only had time for a lightning tour, but I'm sure you could spend a day wandering around exploring. This is another great section of the route. The road from Modica to Scicli isn't as scenic as the road from Ragusa Ibla into Modica - but it's still beautiful. Leaving Modica in the morning there was lots of commuter traffic around, but heading out towards Scicli it suddenly disap­peared – presumably taking the SS115 which heads over Modica on viaduct (the Ponte Guerrieri). The road follows the river valley towards Scicli – watch out as there's a short very rough section just as you cross the boundary of the comune. 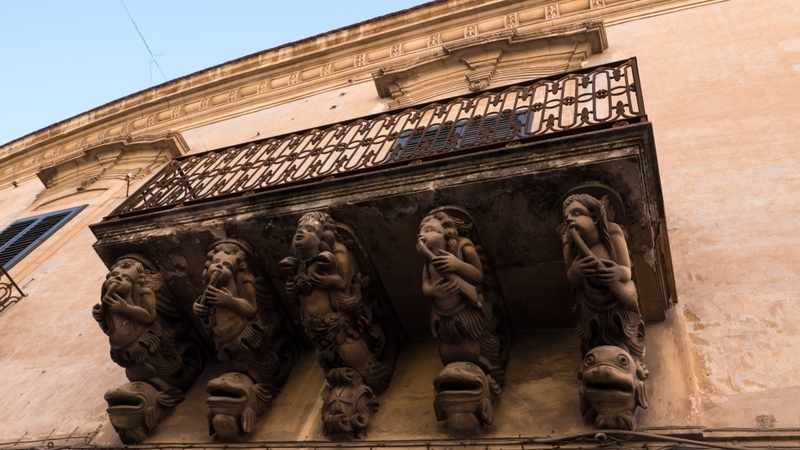 I screwed up badly on the research front, and passing through Scicli and missing the Palazzo Benevento – one of the outstanding examples of Sicilian baroque. Scicli's other claim to fame is the palazzo comunale - used as a location used in the filming of Commissario Montalbano. The sindaco (mayor) gives up his office for the duration of the filming. 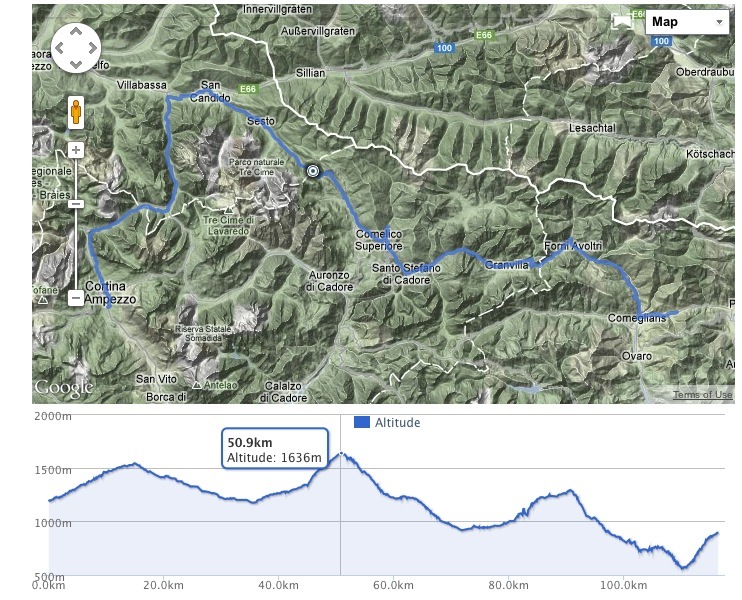 The climb out of Scicli with an altitude gain of just over 100 metres is the only real climb of the section. Then there’s is a 'strada dissestata' – which turned out to be absolutely fine: a few rough bits, but perfectly rideable. Dry stone walls, olive trees, fields of wheat with holm oaks. At the junction with the main road, follow the signs for the Marina di Modica. I was afraid this would be another resort that really only came to life in July-August and the rest of the year was closed, but in fact there were bars and restaurants and an alimentari (grocers/​supermarket). I had a really good lunch at the Boca Marina. At the Marina di Modica you pick up the signposted SIBIT route again. This takes you to the beach at Maganuco where there's a sign that seems to be directing you to head straight out to sea. If you've never cycled on sand before the trick is to follow the wet sand nearest the waterline this is firmer and more rideable. I must admit that while I love the idea of riding along the beach the practical reality is rather different in that the bike trans­mission seems like a magnet for sand and I needed to clean and lubricate my chain twice before it stopped making horrible noises. The more practical option is probably to follow the SP66 from the Marina di Modica and then turn off for the port of Pozzallo. 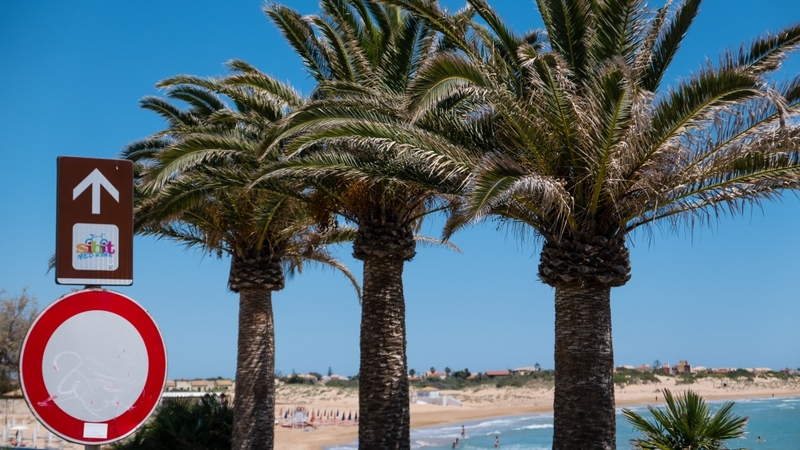 Pozzallo itself is an attractive seaside/​town that seems to be one of those places that is ignored by the guide­books for no very obvious reason. The route takes you past the ferry terminal at Pozzallo (with ferries to/​from Malta), and then along the main street before following the lungomare out of town. After Pozzallo there's a section of coast road that for me is one of the highlights of the route as the road follows dunes and then the road looking out onto the open sea. 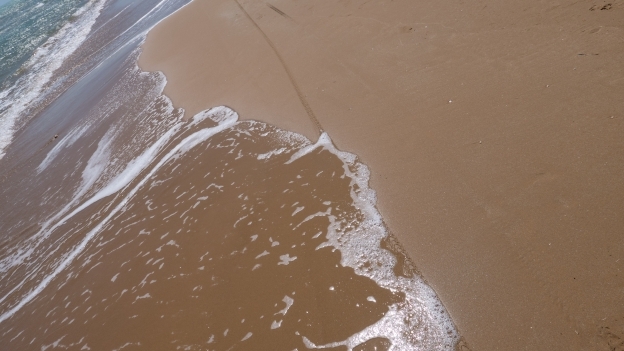 If you're looking for unspoilt wild beaches then you've come to the right place - although expect the beaches and the road to be busy on summer weekends. Eventually the road leaves the shore and heads for Pachino through lagoons and wetlands. The route turns off before the town itself. the Pachino area is known for its cherry tomatoes pomodorini di Pachino - sometimes simply shortened to 'pachino'. The SIBIT route takes you almost to the most southern point of the island - at this point you are further south than the city of Tunis. If you have the time, follow the signs for the Isola delle Correnti a small island linked by a causeway to the main island. The final stretch takes takes you to Portopalo di Capo Passero, in the provincia di Siracusa. Porto Palo is a nice seaside town with a range of hotels and restaurants. From there, there's a nice stretch of quiet road along the coast – nothing special, grassy headlands, rocky coastline. 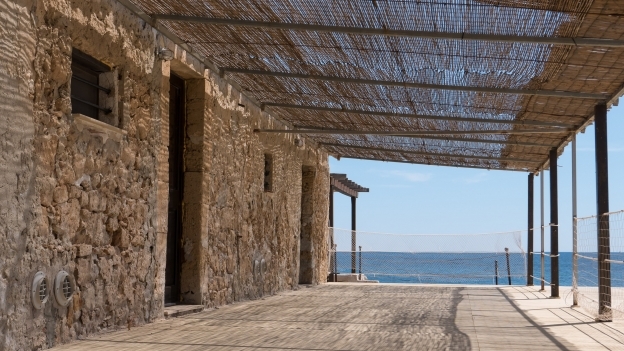 The Tonnara di Marzamemi was the highlight. The tonnara is one of the most extensive I'd seen – a village in itself with a church, chapel, manor house plus fishermen's cottages. Now restaurants and bars and a B&B in some converted fishermen’s cottages. The best tonnara restoration/​rescue, I'd seen. Yes it's touristy, but it could have become a private resort. After Marzamemi the road turns away from the sea (it passes the Il Forte campsite and then the Mediterraneo agricampeggio). Further on and there is the San Lorenzo agricampeggio – not to be confused with the resort of the same name. The route joins the main road for a very brief stretch before turning left over the main road to pick up another strada dissestata – there are a few rough bits on but on the whole it's fine. Very quiet as the main road takes most of the traffic. The SIBIT route then crosses the river Tellaro and into the village of San Paolo - that seemed to be almost abandoned except for a Tate&Lyle plant painted a jaunty orange. You cross over the level crossing and then cross over the autostrada before starting to climb towards the SS 115 – about 100m elevation gain. Among the olive trees and almond trees there are two pillboxes that once guarded the road. There's a scenic and really enjoyable blast down the hill on the SS115 until almost into Noto. 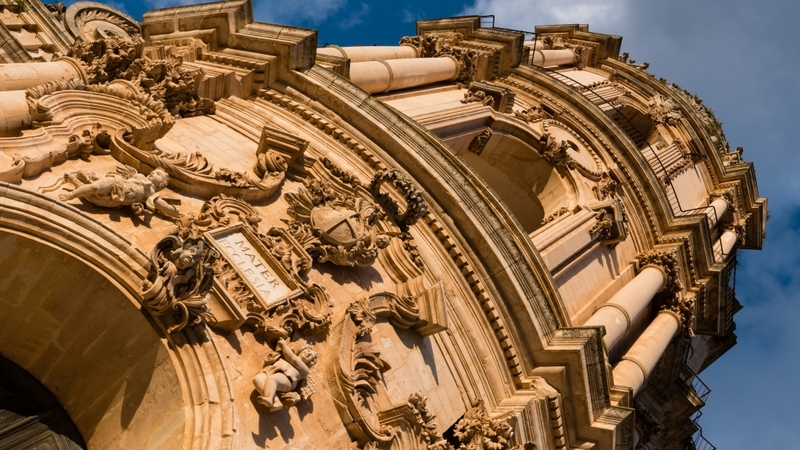 Noto was, perhaps, the highlight of the baroque cities. At the end of May the evening sun shines down the main street, the Corso Vittorio Emanuele. Swallows swirl around. Walk around, have a drink, or have a gelato and watch the world go by. Note that if you are coming from the south, the one-way system takes you on a road that runs parallel with the Corso Vittorio Emanuele. The best bet is to follow it for a couple of hundred metres or so then turn left onto the via Salvatore la Rosa. This brings you out onto the main street opposite a fountain. Dismount and turn right through the zona traffico limitato. The route out of Noto to Siracusa is a wee bit of anti-climax. The route is a little bit complicated: ignore the sign for Siracusa (which would take you onto the SS115) and bear right over the level crossing. From here you follow the SP34 going over a couple of round­abouts. 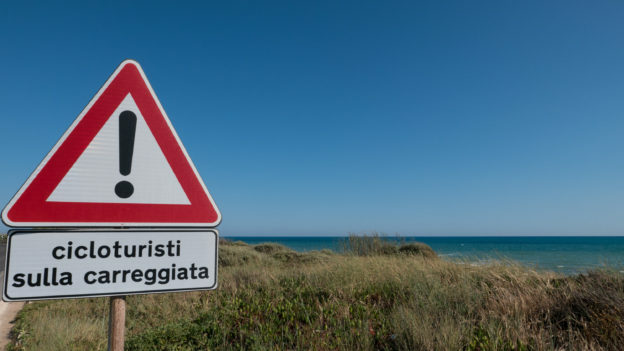 Look for the signs for the Lido di Noto. Just before the Lido di Noto you need to turn left towards Avola and then, on the outskirts of Avola, turn right in the direction of the Tonnara di Avola. There's a tonnara (tuna processing plant) that's being slowly regen­erated, but the emphasis is on slowly the tonnara itself is in ruins there are a number of pescherie (fishmongers). The SIBIT signs seemed to go wrong here: just before the tonnara there's a sign indic­ating a left turn, but the GPS track shows that the route follows the lungomare. The lungomare (sea-front road) seemed the better choice. I rode this section on a Saturday morning and although there were a fair number of people around, it wasn't too busy. The route then turns inland after the Marina di Avola and joins the SS 115. When I rode it there were roadworks which meant that traffic was being diverted onto the autostrada, so the road itself was very quiet. I don't know how busy it gets when it is open. 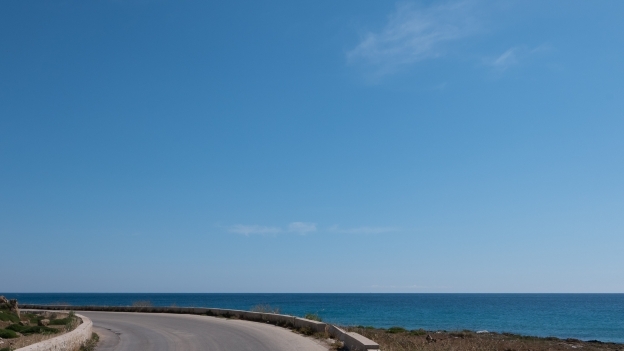 You turn off the SS 115 towards the seaside resort of Fontane Bianche and then on towards Ognina. The route follows the SP104 before rejoining the SS 115 for the final leg towards Siracusa. This section of road is inevitably busier. The SIBIT route officially finishes at the rail station in the newer part of the city. But for me there is only one place to finish: the Piazza del Duomo. 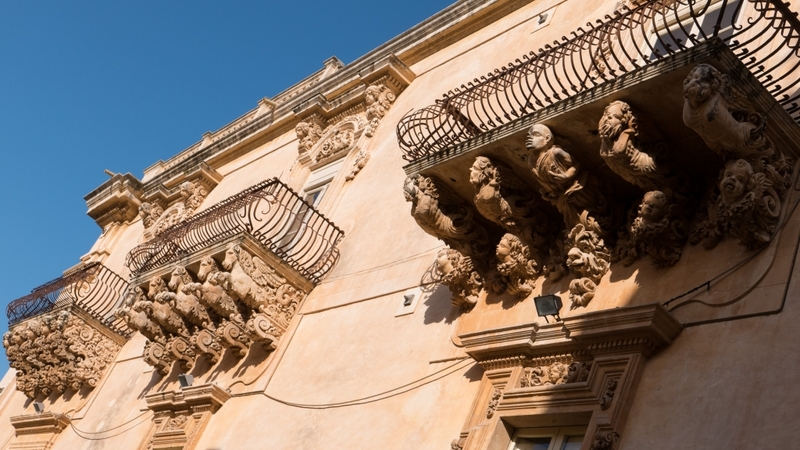 To reach it you follow the Via Malta and cross over the bridge to the island of Ortigia, and then the Via Matteotti and Via Roma to the Piazza del Duomo one of Sicilia's finest baroque piazzas. There are plenty of campsites along the coast, there are none that are really handy for the inland towns. The station at Siracusa offers connec­tions to Catania, Messina and Palermo. journey time to Catania about 100 minutes, and to Palermo between 6 and 7 hours.